Christopher Joyner was born on January 20, 1954 in New Haven, Connecticut, to the late Claude Camel and Minnie Atkinson Joyner. He is the fourth of six children. 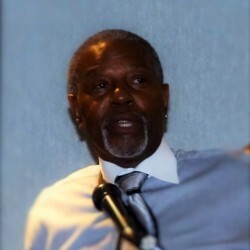 Joyner graduated from James Hillhouse High School in New Haven, Connecticut, in 1971, where he was an active member of the marching and concert bands. Joyner attended Houston Tillotson “HT” College in Austin, Texas, on a baseball scholarship for one semester. 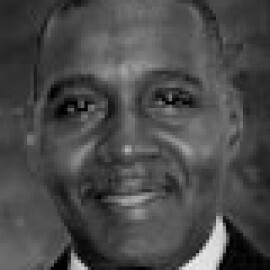 He then transferred to Delaware State College in 1973 on a full music scholarship, participating in the marching and concert bands. Joyner pledged in his first semester at Delaware State, going over on March 30, 1973. While at Delaware State, he served as Hornet Chapter president and president of the Council of Independent Organizations, the governing body that oversees the non-Greek organizations on campus. 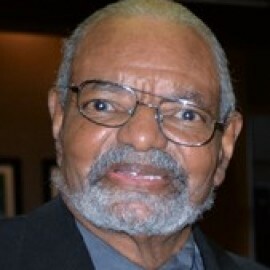 Joyner graduated from Delaware State in 1976 with a B.S. in Business Administration. Upon graduating from college, Joyner’s first job was with Automatic Switch Company in Florham Park, New Jersey, where he was employed as a credit analyst. During this time, he was an active member of the New Jersey Graduate Chapter. Joyner then moved to the Washington, D.C., area and was employed by GAB Business Services as a field claims adjuster. Five years later, he relocated to Wilmington, Delaware, where he opened a State Farm insurance agency in 1983. He was only the second African-American agent in the state. Joyner was a founding member of the Wilmington Graduate Chapter and served as its first president. He also served as the Assistant Regional Director in the North Atlantic Region from 1985 to 1986 and the Graduate Representative to the Executive Board of Directors from 1997 to 1999. 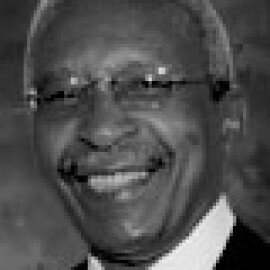 Joyner was elected National President in 1999 and served until 2003. During his tenure, the process of revamping Groove’s National Constitution and Bylaws began. Also during his tenure, the first National Prayer Breakfast was held at the Conclave in New Orleans, Louisiana. Joyner serves on the Executive Board of Directors as Past National President and is its vice chairman. His latest project is the organization of the Delaware State Alumni Chapter. 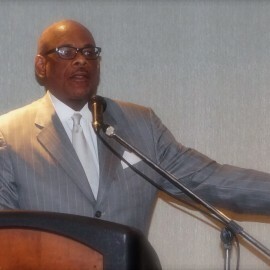 Joyner has served on and chaired many community boards in the Wilmington area, including Junior Achievement of Delaware, the People’s Settlement Association (the first African-American non-profit community center in Delaware), the Eighth Street Baptist Church, the Canaan Baptist Church, and the Wilmington Little League.